Belgian Colony. Leopold II Certified 5 & 10 Centimes 1906, KM9-KM10. 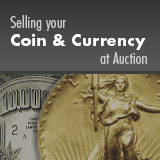 Both coins certified MS65 by NGC. Note: these coins are listed under Congo Free State in SCWC. Sold as is, no return lot.